The recent shifts in regional politics and foreign policy demonstrates the importance of Jordan playing a regional role. Given the tumultuous regional dynamics and the complex economic crisis that Jordan faces, we must find new ways to create economic opportunity. However, any substantive regional political role or creation of real economic opportunities requires substantial and strategic long-term vision with the understanding and capability to develop and implement short, medium- and long-term plans. Regional cooperation and cross-border projects do not just materialize, they require smart leaders with vision and plans to navigate the dynamics of complex situations. With US foreign policy clearly placing Iran as its key target in the region, there is an even greater opportunity for Jordan to rebuild ties to its closest neighbors and Iran’s key allies in Syria and Iraq and position itself as a key ally to the US in containing Iran. Clearly, Jordan must change the way its politics and rhetoric are shaped in order to find renewed mutual political understanding with Syria and Iraq. 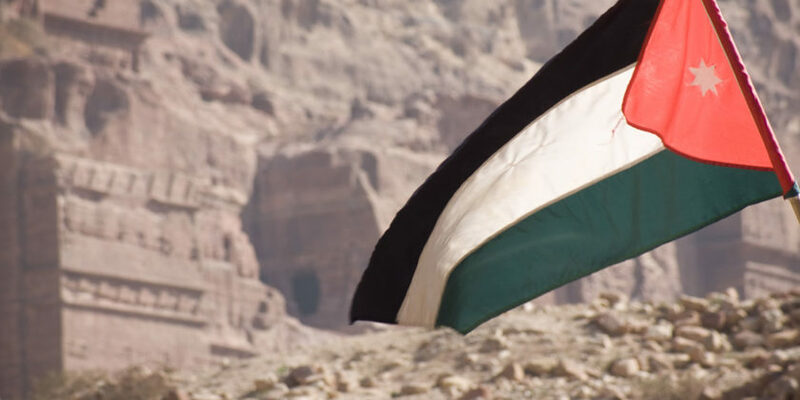 This is likely to require the replacement of key positions in Jordan as the current people involved are an obstacle to embracing the opportunities that are being presented to Jordan, and they also offer no alternative. On the other side of the country, the two other borders with Saudi Arabia and Israel are not in a much better state, and the necessary changes should also consider Jordan’s strategic interest in having positive and active engagement across all four borders. The inactive Saudi-Jordanian relations needs revitalization, and a strategic vision is also needed with Israeli relations. For a new approach to be developed, there must be some understanding about how a relationship underpinned by a peace pact and security agreements can deteriorate to this point, especially given its strategic importance. While developing an effective and appropriate foreign policy is vital, there are also clear changes needed domestically. There has been growing popular frustration with the ability of the government and the parliament to deliver a stable economy and the resulting decline in standards of living. This challenge is made even more difficult because of a lack of capacity and capability amongst government officials, the dearth of high caliber states people and the narrowing of power within the Jordanian political system. Jordan needs a wholesale revision of the way domestic politics are run, the process of developing policies that grow the economy and create opportunities and reinforcing a national Jordanian identity, all of which are needed to ensure hope and aspiration amongst Jordanians. It seems that even basic communications skills are lacking, and the repetition of clichés and empty, unconvincing promises are the staple of officials in Jordan. The current foreign and domestic issues require concrete policies and the ability to communicate them in order to raise the perception of Jordan both internationally and amongst the population. People must believe that wrong-doers will be punished, there will be prompt intervention in correcting errors and officials will be accountable for failures. A strong government, economy and population is essential for the survival of a country like Jordan, and is the only way it can have the capacity to play a critical role in the future of our region. Tags:failure in domestic politics, failure in foreign policy, Jordan's instability, risk of destabilization.